As scholars of the male of color experience in college, we are often asked whether all faculty can effectively teach men of color. Most often, what is really being asked is whether White faculty can teach these men. While increased faculty diversity is a key component of success for all students, we do believe that faculty of all backgrounds can effectively teach men of color. That being said, there are four critical elements that must be in place to effectively educate men of color. We offer these recommendations for all faculty interested in improving their success. Writing in the 1960's, Nevitt Sanford argued that students developed and experienced success when two factors were present: challenge and support. Sanford believed that all students must be challenged academically with rigorous coursework. Lectures, assignments, discussions, and out-of-class work should push students to higher academic horizons. Students should be challenged to think critically, creatively, and to learn how to apply difficult concepts to their everyday lives. However, challenge cannot and should not occur in isolation. Sanford noted that challenge must be accompanied with support. We like to think about support as relating to direct assistance that students receive from faculty and support personnel. Faculty can hold office hours, make themselves available to students before and after class, and be responsive to phone calls and emails received from students. Colleges can provide support services such as tutoring, advising, counseling, and library services. Of course, students must be aware of available support, perceive available support as being reliable, and know that it can meet their needs. Sanford noted that there is an optimal balance between challenge and support. Too much challenge and too little support can create an environment where students' needs aren't met, resulting in frustration and potential departure. In contrast, when there is little challenge and too much support, students can take learning for granted, become disengaged due to a lack of rigor, and develop a disinterest in their education. As a result, high levels of both challenge and support are necessary for the success of students. While challenge and support are critical for students' academic and personal growth, they are not enough for men of color. Why? Because these concepts were developed with the assumption that certain preconditions were in place that rarely ever are, particularly for our men of color. Prior to challenge, high expectations and belief in students' ability to succeed must be evident. In other words, a faculty member can challenge a student all they want, yet if that student doesn't know that the faculty member believes in them, they'll never rise to meet that challenge. Students must know that faculty members believe in their ability to succeed. Believing in students means having high expectations for them, which should be communicated through both verbal and non-verbal actions. 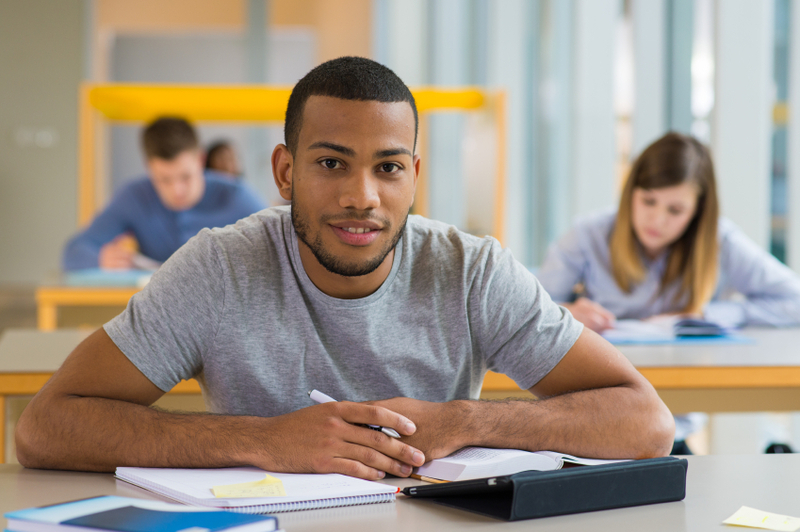 Given the stereotypical perceptions of men of color as unintelligent, high expectations are necessary to disrupt prior messages of inferiority and communicate to students that they are capable of success. With high expectations, students will feel empowered to meet the academic challenges set before them in the classroom. Challenge and high expectations must also be met with support. That being said, support may be available and useful, but if faculty and staff do not communicate an authentic care for students, then the support will go unused. Students must believe that faculty members authentically care about them, personally and academically. Without authenticity, students will be weary of using support services and meeting with faculty, especially if they think that these interactions will highlight certain inabilities. Given the apprehension of many men of color to seek out help from faculty and staff, authentic care can reduce their apprehension to engage support by creating a foundation of trust. When faculty members' challenge and support of students are met with high expectations and authentic care, the necessary conditions for student success are fostered. Regardless of background, faculty members who embody these four elements in their relationships and teaching practice with men of color will experience greater levels of success. To be clear, faculty who have success in teaching men of color do not possess some magical superpower, they treat them with care and believe in them. As adeptly stated by Asa Hilliard, to be an effective educator "the first thing you do is treat them like human beings and the second thing you do is love them". These are our recommendations, what are yours?